After serving in the military, many veterans are encouraged to enter into the business world. This could be because the character traits developed during the service are very similar to ones needed to succeed when it comes to entrepreneurship. However, many veterans find it difficult to start up businesses due to lack of capital. Another obstacle which has been hindering the progress of businesses started by vets is restricted access to loans that may help to boost up their businesses. There are many specialized loan programs offered by the SBA. 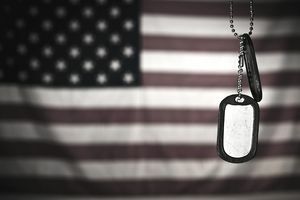 The U.S Small Business Administration (SBA) has put in place a new measure to help get small business loans into the hands of veteran entrepreneurs. This new plan sets the borrower upfront fee to zero for all veteran-based loans authorized under the SBA Express program, up to $350,000. It is advisable to concentrate on establishing a high business credit score and strong business credit report for the business and not only focus on improving your personal credit alone. If your business has its own score, lenders won't rely on your personal score to determine whether or not you qualify for financial assistance. Here are some business credit building tips for veteran entrepreneurs that could aid in getting their businesses access financial assistance from banks and other financial institutions. To establish a strong business credit score, one must ensure that all the invoices are paid on time. It's even advisable to pay ahead of the due date if possible. Doing so will enable the business to get reported as a company that pays better than terms. This results in potentially higher credit limit recommendations along with better terms of repayment. When establishing credit ratings for businesses, one of the factors for business credit agencies is the business' credit utilization ratio. If your company has a high utilization ratio, it is assumed that the ability of your business to pay debts is very low and vice versa. Thus, it is good to ensure that you maintain a low credit utilization ratio, preferably below 30%. If your business has low ratios, many lenders may be willing to extend different forms of credit to you, since the risk of failing to repay is very low. If these lenders report all the prompt payments made by the business to business credit reporting agencies, such as Dun & Bradstreet, then the business credit score for your enterprise will be high. The type of lenders your business works with plays a very big role when it comes to the improvement of the business credit rating. Some lenders and vendors never bother reporting all the prompt payments you make to them to credit agencies. Not doing this could hurt your scores in the long-term, since it is the early repayments ​that are considered when determining the credit score for any business. As a veteran entrepreneur running a business, it is worth it to work with lenders and business suppliers who report your timely business payments to business credit bureaus so as to build your business credit. It is also worth mentioning that working with different types of suppliers could increase the business credit rating for your business. However, this will be determined by whether they report all the payments you make to them to different credit agencies or not. If they do, it allows lenders to assess your company's creditworthiness. The best thing about working with different vendors is that you will be given time to make all your payments with ease. Talk to your suppliers and insist that all the payments you make be forwarded to credit agencies so as to improve the credit score for your business. If you find that a supplier does not report to a credit agency, you can always add a trade reference using D&B's trade references building service. Although this is a paid for service, it may be worth the price if your company has many trade references to add to its business credit report. Many veterans have suffered due to wrong information or errors in their business credit report. Sometimes the credit agencies use wrong information when determining your business credit report, which ends up portraying your business as unreliable due to a low credit rating. Thus, it is good to ensure that your business monitors and verifies that the business credit bureaus are accurate and up to date. If there are any errors, inform the business credit agency and request a correction as fast as possible. A good business credit rating has many advantages, including low interest on business credit cards, loans, quick funding approvals, low insurance premiums and easy access to financial or supplies assistance. As a veteran entrepreneur, it is good to work on improving the credit rating for your business so as to enjoy the aforementioned benefits.